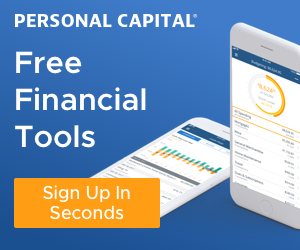 Your own home can be a great tool to build wealth! Most people would buy their own home first before buying the first investment property. In this article, we’d see how one can count on wealth being build in his or her own home. And When the right opportunity arises, use that wealth to buy an investment property. For an Average Joe, it’s not easy to get into real estate investing mainly because of the down payment requirement. One needs at least 20% down payment to buy the 2nd property(after your primary residence). Both the Government in the US and Canada encourages 1st time home ownership. There are programs to help the first-timer to buy the first mortgage with down payment as little as 3%-10%. However, when it comes to 2nd property, the down payment rises to 20% or more. With average household income hovering around $70K-$75K in the US and CAD$80K in Canada, it’s not easy to save 20% down payment on the 2nd property. With smart focus, you can work patiently to find a way to save or create a resource to bring up the down payment for the next property. Your Home Ownership is your Wealth Building Tool! Let’s say you just bought your first home and moved in. This graph is drawn to help you estimate approximately how much amount is accumulated over a period of 10 years from this purchase. Meaning initial investment of $20000(down payment) became $180000 in 10 years. As you can see within 10 years, the total amount accumulated in your home would be $180000. That includes your down payment of $20000. Because of this pool of reserve, now you have an option to borrow some amount from your bank to pay for the down payment for your next property. If you are into a favourable real estate cycle, your primary residence may appreciate quicker. If you have the high paying job, you may save some and borrow some from your home. In both the scenario, the idea is to keep looking for the opportunity to buy your investment property and get help from the accumulated pool of equity and appreciation to reach the target of the down payment as soon as possible. There is nothing new in the concept shown here. 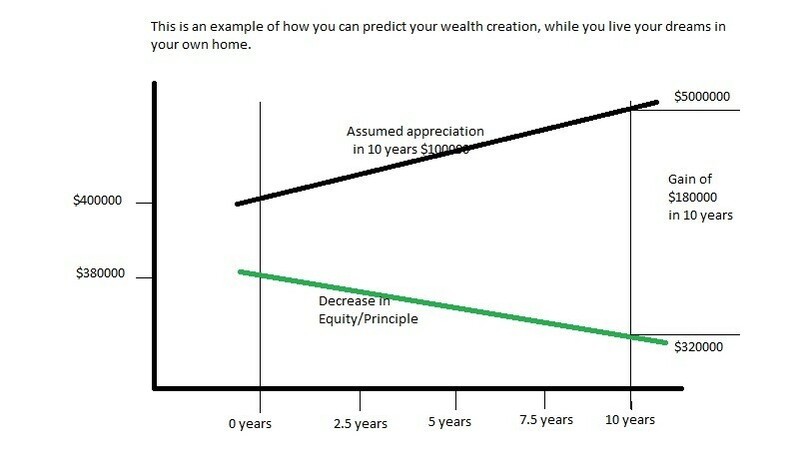 However, this is a way to look at your home ownership if you are keen to get into the real estate investing later on. This is just about keeping the focus on buying your first investment property as soon as possible. **Disclaimer: Real estate appreciation is based on historical observation of real estate prices, and should not be taken as advice. Please share your valuable views on the above topic in the comment section at the bottom. Thank you and Happy Landlording!